A database of Mini PCs. What info do you need? We’ve been asked a number of times to add mini-PCs and stick-PCs into the UMPCPortal database so while we’re working on improving the database we thought it would make sense to put a couple of mini PC products in and to ask you what details you want to see. Mini-PCs aren’t ultra-mobile but they’re very portable and if our database is working well for you, why not add something closely-related to UMPCs? We’ve seen a lot of traction on the Intel NUC articles and the technology is closely related so expanding into mini PCs seems sensible. 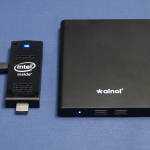 Stick PCs like the Intel Compute Stick are also up for discussion. 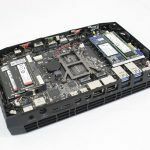 We’ve already added a couple of NUC devices to a category we’re calling ‘headless’ mini PCs and you’ll find tailored information on the specifications pages including information about the internal slots and connectors. 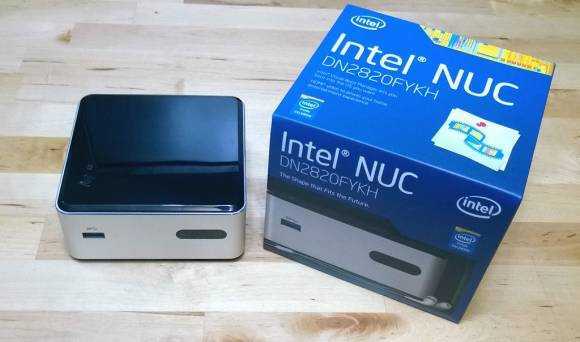 The new Broadwell-U based Intel NUC 5i5 is a good example. 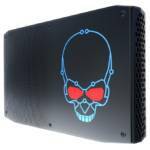 The new ‘headless’ mini-PC category in the product database. We’ve already added a benchmarks section to the product pages so where we’ve tested a device (or use a trusted partner’s data) we’ll add in a set of CPU, browser and GPU scores that should allow you to ‘position’ a mini PC in terms of performance and we’ll make as many notes as we can about important things like SATA drive max-height, TPM, Intel Quick-Sync and more. We’ve got live pricing (where available at Amazon) for USA, Germany and the UK which, again, will help you to refine your choice. What other information would you be looking for? Let us know in the comments below and we’ll take it into consideration. While you’re at it, take a look at the updated product chooser and let us know what you think. Your feedback is more than welcome, it’s requested! 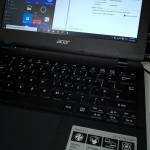 Exact version numbers for the ports like displayport 1.2, hdmi 2, etc. With the various versions of these interfaces allowing for specific resolutions and refresh rates, it’s nice to be able to search through that data. Availability (or not) of internal optical drive. 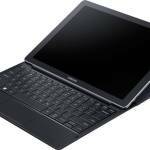 Many of these mini-PCs would make excellent HTPCs if an ODD was available. Too bad the NUC footprint isn’t a little larger. The limit here on UMPCPortal is 1.3KG / 2.8 pounds. I’m not sure that any devices with ODD are within that range but if they are, they will be considered and we have tablet entries for that information. Pre-installed OS will always be shown but the issue of ‘can it run Windows’ is a good one that we’ll have a think about. I’m not sure we want to cover anything that can’t run Windows to be honest! That one is difficult unless a device has been deeply reviewed. The good news is that I’m currently looking to partner with another site for some deep and trustworthy power consumption info. You might see this in the future! I would like to get across my respect for your generosity supporting men who should have assistance with that topic. Your personal commitment to passing the solution all-around was wonderfully functional and have truly empowered others much like me to get to their targets. Your insightful useful information indicates this much to me and somewhat more to my office workers. Thanks a ton; from each one of us. 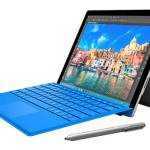 « Surface Pro 3 hot-desking review.